California State University, Long Beach will be hosting the 46th annual meeting of the North Atlantic Conference on Afroasiatic Linguistics (NACAL 46) from the 1st to the 3rd of June 2018. NACAL is a annual meeting which focusses on linguistic topics relevant to the languages of the Afroasiatic phylum (Berber, Chadic, Cushitic, Egyptian, Omotic, and Semitic). 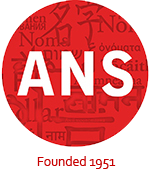 Topics related to phonological, morphological, syntactic, and epigraphic aspects of Afroasiatic languages are welcome. Comparative and sociolinguistic approaches are also encouraged. Interested researchers are asked to send anonymized abstract proposals for presentations and/or posters by January 15, 2018. The call for papers can be found here.